How Far is Presidency Heights? Presidency Heights developed by the renowned group Presidency Infraheights is an expression of ultra modern luxurious lifestyle equating with international standards. The project offers the range of 2BHK and 3BHK flats with stunning conveniences at an affordable price list. This township is perfectly planned and qualitatively constructed with the expertise of the team of professional architects and designers. The project located on the Yamuna Expressway, also come with a price list that will keep you amazed with the offers. This is a hot project for buyers that are looking for a dream home at affordable prices. Mr. Owais Usmani has carved out a niche for himself in the business world due to his emphasis on fairness and transparency. The motto has helped him achieve greater heights not only in India but also in other parts of the world. He is a dynamic, farsighted, energetic and young entrepreneur and left no stone unturned in making a successful career in the field of mining & trading operations. He has forayed into many fields including minerals trading, mining, marbles, metallurgical, energy, and hotel Industries and is enthusiastically implementing his expertise made him one of the largest exporters of Chrome Ore in the Overseas. At a time when real estate buyers were finding it difficult to invest in projects because there was a lack of fair and transparent deals, Mr. Usmani entered the sector and changed the dynamics by announcing Presidency Infraheights Pvt. Ltd. The company stands for an uncompromising belief in quality and excellence, and a commitment to the promotion of a truly global lifestyle in India. Keeping these broad visions in mind he started his venture in real estate industry by offering to the public at large, a chain of luxurious residential flats under a 100% FDI Funded Project. Its commitment is reflected in all the aspects of its core competencies, right from the acquisition of land for development, approval from Government bodies & fulfilling the other regulatory norms to planning, designing, construction and marketing. It has unrivalled expertise in creating elegantly designed living spaces that exhibit the highest standards of global quality. Presidency Infraheights Pvt. Ltd. is a dynamic and innovative brand with a passionate commitment to excellence in Real Estate development. The company stands for an uncompromising belief in quality and perfection, and promotion of a truly global lifestyle in India. Every project the company plans to initiate will be unique in nature, in sync with the broad vision of its founder; Mr. Owais Usmani. 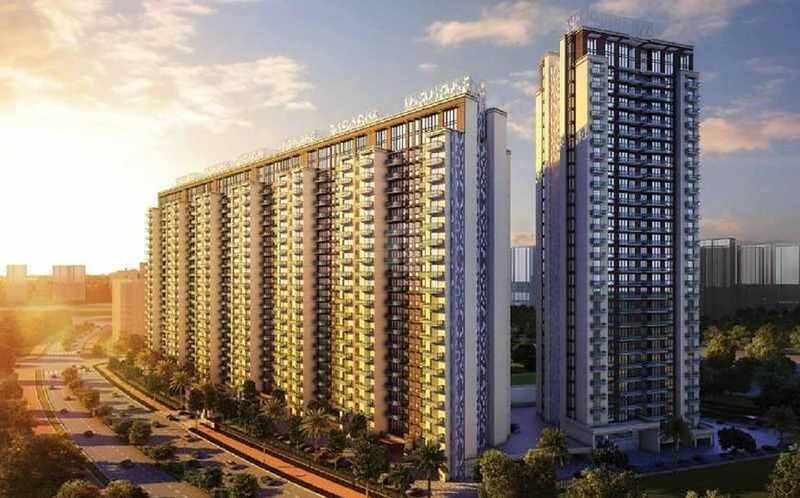 Its first project is a heaven for a Cosmopolitan lifestyle pioneering upscale condominium initiative located in Jaypee Sports City, Sector 25, Greater Noida, and the success of this project will increase the value of Presidency Infraheights Pvt. Ltd. The entire project has seven (7) Towers with total of 629 residential flats/apartments spreading over the land of 5.5 acres. The project is in advanced stages of construction and promise to bring to India a whole new paradigm in luxurious living. Presidency Infraheights Private Limited is also the holding company of Presidency Green View Private Limited. The Company Presidency Green View Pvt. Ltd. has acquired a land admeasuring 25 acres in sector 22A, Greater Noida from YEIDA. The Company is also looking forward for its quick launch with residential and commercial units. However the launching activity is under process seeking approval from Government authorities. This upcoming project will add feathers to Presidency Group leaving remarkable mark in the real estate segment. The upcoming project will have an approx. investment of Rs. 2,000 crores.